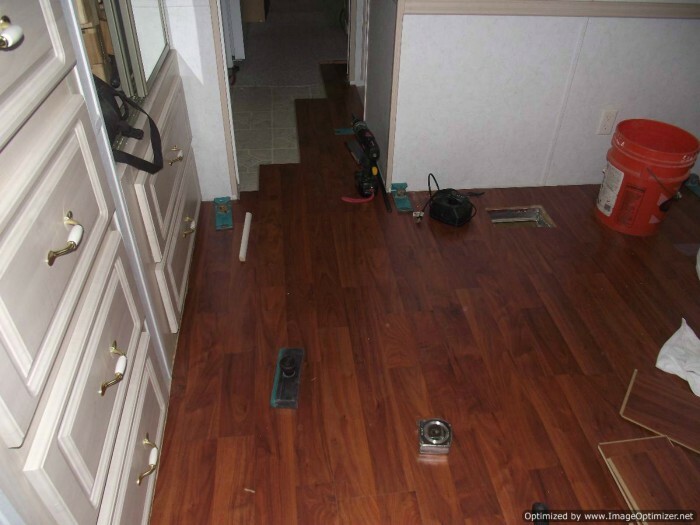 This Allen Roth laminate review is based on me installing it in a park model mobile home. This laminate flooring is sold at Lowes. I noticed it has the Swiftlock name on the label. I think its made by Armstrong. 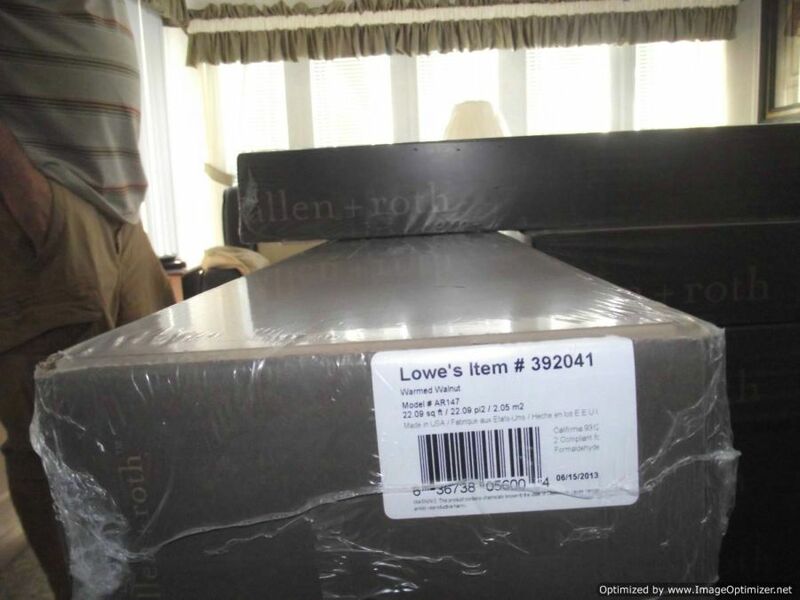 As of the first week of May 2015, I was told by Lowe's that Allen + Roth laminate is made in the USA. 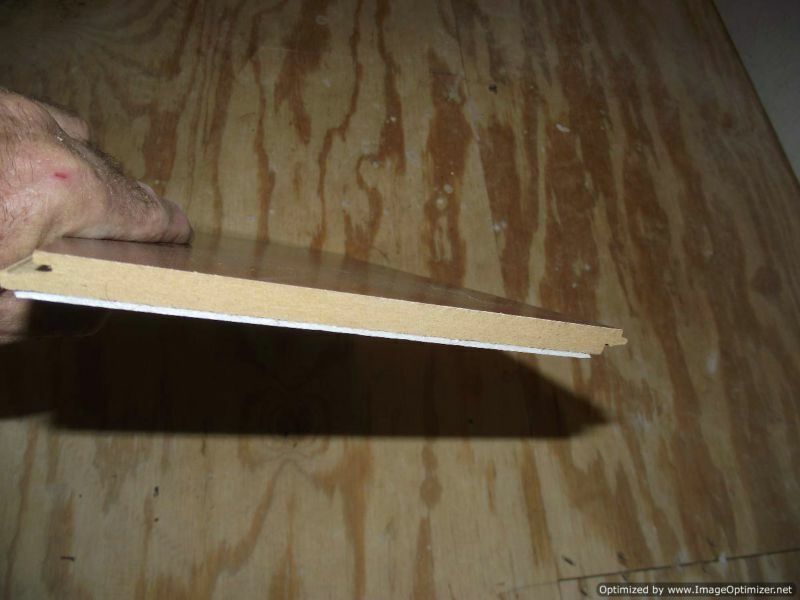 As I understand, the manufacturing of laminate flooring in the USA is better controlled as far as formaldehyde is concerned. It is a 10mm with an attached padding. It has a AC4 wear rating, which is good. AC5 is the best. It carries a limited lifetime warranty. This laminate has flush edges on all four sides. The color I installed here is Warmed Walnut. I checked the price online at Lowes, They have it priced at 1.99, as of August of 2013. That's not a bad price for this product. Having the attached pad on the back saves a little money too. Installing it in a small mobile home takes longer as there are a lot of extra ins and outs as some would say. 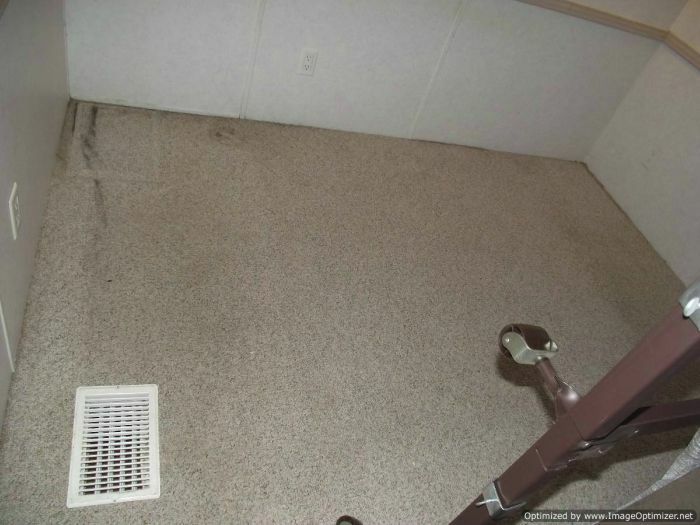 Here I started in the bedroom at the rear of the mobile home and continue all the way to the front. The bedroom door happened to be closed when I took this photo. 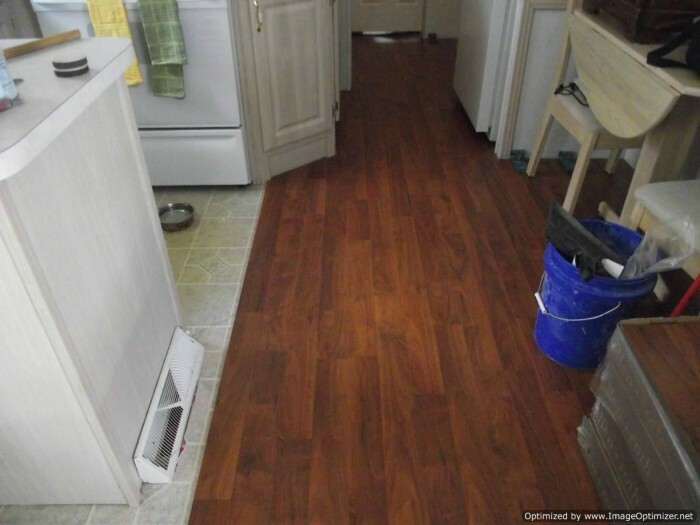 Here is the kitchen where I installed the laminate. They can be compact in these park models. 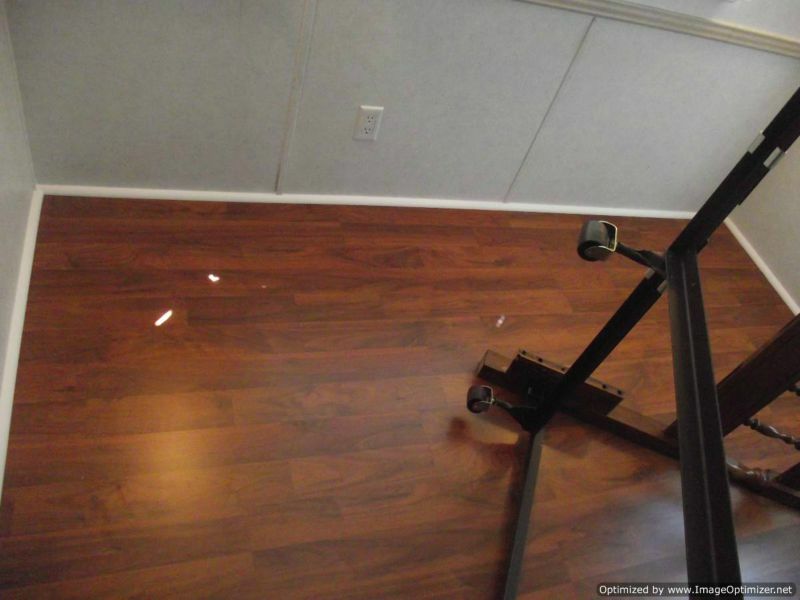 This Allen Roth laminate was easy to install as far as connecting the planks together. I was able to tap the planks together laying flat next to each other. 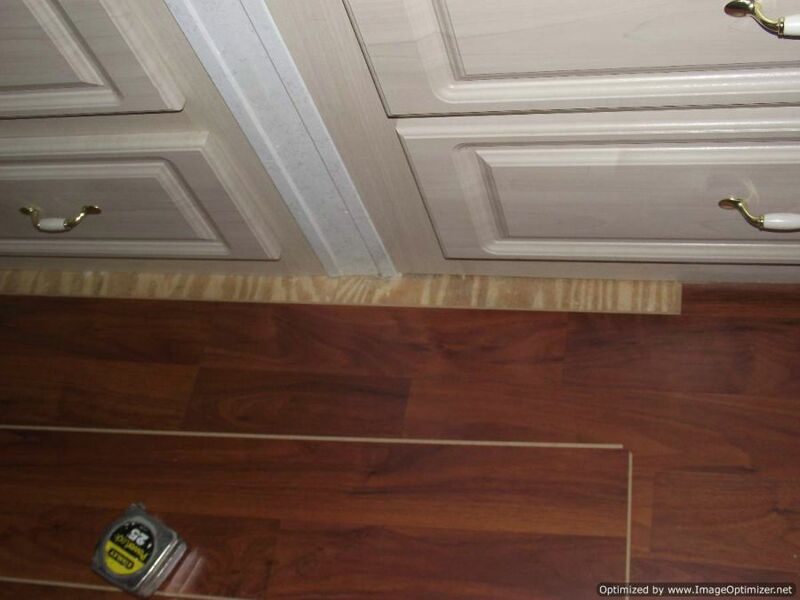 The joints were smooth and flush, which is good to see on a square edge laminate. 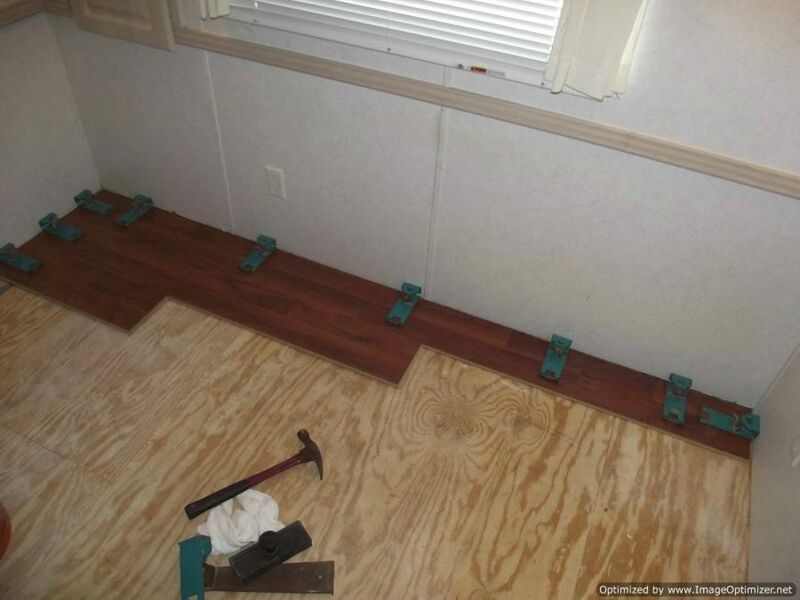 I have installed a lot of other square edged laminates that would peak up at the joints. I started the installation in the rear of the home in the bedroom and continued out into the hallway, all the way out to the living room. 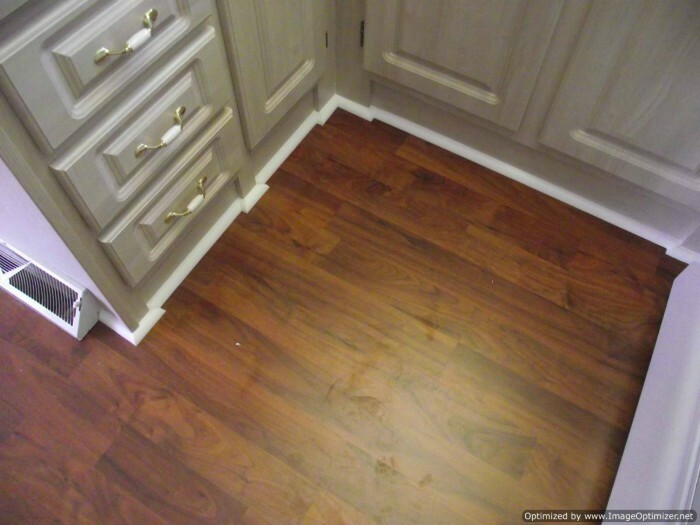 I installed in front of the refrigerator and then rolled the frig out onto the laminate and installed the laminate behind it. After reading some feedback from the readers here. It looks like it could be hit or miss with this product.